Both a prominent Texas GOP lawmaker and Governor Rick Perry himself are suggesting that CPRIT oversight committee members who were with the organization prior to the Peloton debacle might serve CPRIT best by resigning. Mr. Mansour has stated that he has no plans to resign his post on the CPRIT oversight committee, arguing that, because the problems at CPRIT centered around the review of grant proposals, which oversight committee members were not supposed to be involved in, he and other veteran members were not culpable for issues such as the Peloton case. 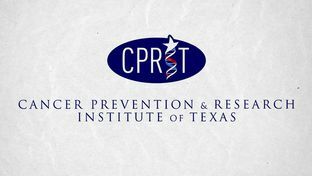 In spite of the waning weeks remaining in the Texas legislature’s schedule and the need to resolve the CPRIT crisis soon in order to re-establish operations, questions continue to mount as to whether or not CPRIT can in fact be reconstituted into an effective cancer research funding agency, with Governor Perry now suggesting that perhaps public higher education institutions should take over the management of CPRIT. With so much still in flux for CPRIT, and so little time to solve the crisis, it is looking increasingly unlikely that the matter could be resolved this year, if at all.